Sammy's training continues. She is almost house trained and she is crate trained. She gets along with two other goldens age 7 and 14 years. Sammy is a ball of energy. 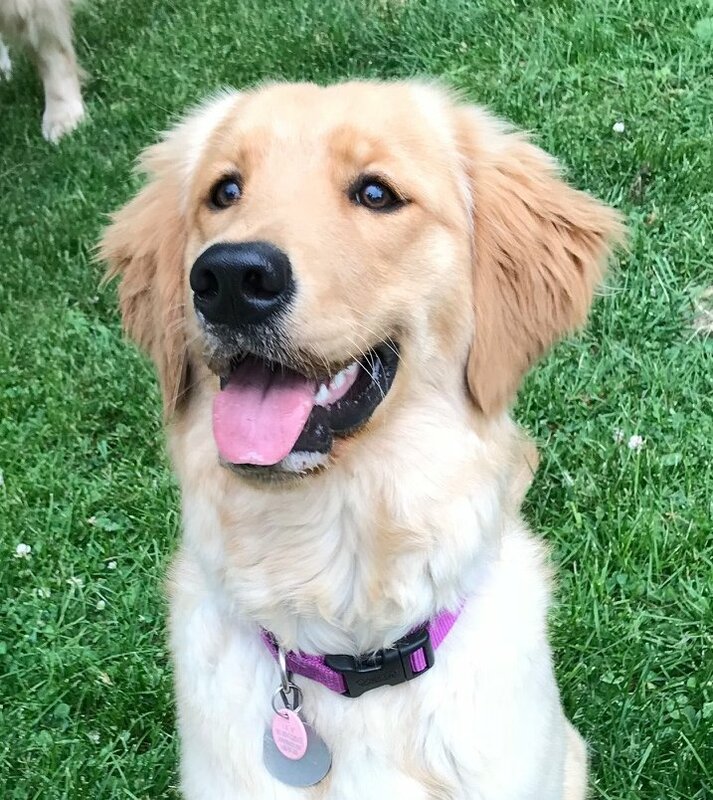 She is ball obsessive and loves to retrieve balls. She now understands that you need to drop the ball in order to have it thrown again. She is typical puppy getting into stuff so you have to watch her closely. She walks lovely on a leash. She does come when called and sits perfectly. She sleeps through the night without any problems. We don't know if she is a runner as she is in a fenced in yard. She has the puppy zoomies every day. She is a very smart dog and is learning quickly. Sammy is almost old enough to be spayed so we will check her out from top to bottom when we go to the vet.